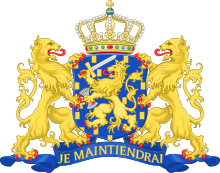 The Netherlands is the main "constituent country" of the Kingdom of the Netherlands. It is a small, densely populated country located in the western European Union with three island territories in the Caribbean. They [politicians] are not interested in the interests of the Dutch citizen and are working along on the transformation of The Netherlands into Netherabia as a province of the Islamic superstate Eurabia. The Dutch example shows that when people overcome their fear, David can defeat Goliath. This page was last edited on 26 April 2018, at 12:20.